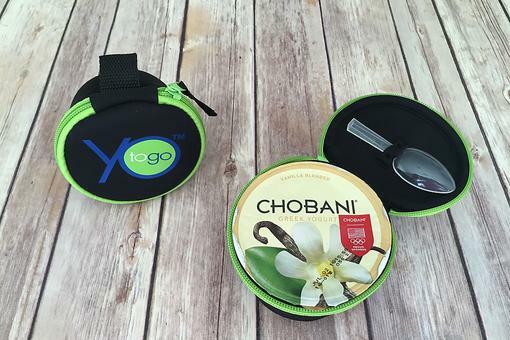 YoToGo is a BPA-free Neoprene container designed to keep your Greek yogurt cool and portable on the go. 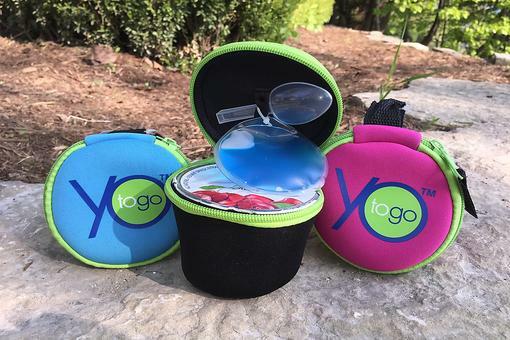 YoToGo comes with a perfectly-sized ice pack and spoon so you can take your Yogurt To GO. This helpful product earned the 30Second Mom Loves This award! We love our YoToGo ! It keeps yogurt and pudding cups fresh when out and about (other small snacks, too). Thanks, yotogotommasi , for the great product! Thanks Elisa we love hearing of new ways people find to use their YoToGo! Love ours, need another for our preschooler for the fall. YoToGo: Because No One Should Have to Eat Warm Greek Yogurt! Fresh Food Snack Hack: YoToGo Keeps Yogurt a Tasty Treat That Beats the Heat!